Airservices Australia is getting to ready to potentially house a range of sensitive data in its cloud environment as a result of its partnership with the Department of the Defence for the OneSKY Australia. “We anticipate at some point down the track there will be data in this environment that may have to have a level of protection above where we are,” Chris Seller, CIO of Airservices Australia told Computerworld. OneSKY involves the roll out of a Civil Military Air Traffic Management System (CMATS) to replace separate aging air traffic management systems operated by Airservices and Defence. Airservices has conducted a thorough-going cloud migration, revealing earlier this year that it had signed a five-year, $84 million contract with ASG that covers infrastructure as a service and desktop as a service. ASG has used Vault Systems’ OpenStack-based cloud to deliver IaaS for Airservices. Vault was one of the first technology companies to have its cloud services certified for use with classified government data. The Australian Signals Directorate added the company to the Certified Cloud Services List (CCSL) in late 2015. In 2017 the ASD formally accepted Vault’s certification for use with data classified at the PROTECTED level. Before the migration to Vault’s cloud, Airservices key IT applications were run out of two server rooms in its Canberra head office. Aging infrastructure plus a decision to hand back the floors housing the server rooms to the agency’s landlord helped drive the shift to cloud. Seller said the agency didn’t initially anticipate a wholesale transition to cloud, however: “Like all organisations we’ve got lots of old legacy environments that we didn’t think would actually be easily migrated into a modern elastic cloud environment,” he said. “As we worked through the program and we did the detailed logistics planning and we started some trials, we were actually very impressed and we started to realise that even some of our big, ugly legacy systems like our SAP environment could actually be migrated directly into Vault,” he said. The agency has now moved around 135 applications and close to a petabyte of data to the cloud. “That consumed around 21,000 hours of engineering and project management effort,” the CIO said. The server rooms have been vacated, and the agency’s network and gateway equipment has been moved to a Canberra Data Centres facility. As a result, the Airservices head office is “now just a branch office on the network,” Seller said. The move to cloud has delivered “quite significant performance improvements” for Airservices, the CIO said. “Provisioning of new environments is now down to hours rather than weeks,” he added. The head count of the infrastructure team is around 10, down from 30 staff (including contractors) before the transition. 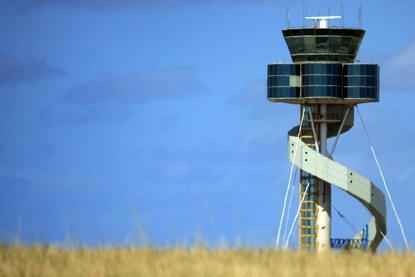 The CIO said that agency is currently looking at the potential for rolling out digital aerodrome services, which could eventually see the replacement of traditional air-traffic control towers. Next-generation aerodrome towers can use high-definition digital camera arrays that provide a 360-degree view. It’s still a fairly new technology, and Airservices is currently evaluating suppliers for a proof-of-concept, Seller said. Another key technology project is the implementation of a digital information platform that will enable Airservices to integrate data from sources across its operational environment and allow it to be analysed to deliver real-time insights to airlines and airports about network disruptions.